The Leafs last year had one of, if not the very worst defense-cores in the NHL. This year they have added Marincin and Hunwick, but will be relying mostly on internal improvement for any gains they hope to make this season over last. The fact is, the Leafs are very weak on defensemen after Rielly and Gardiner. 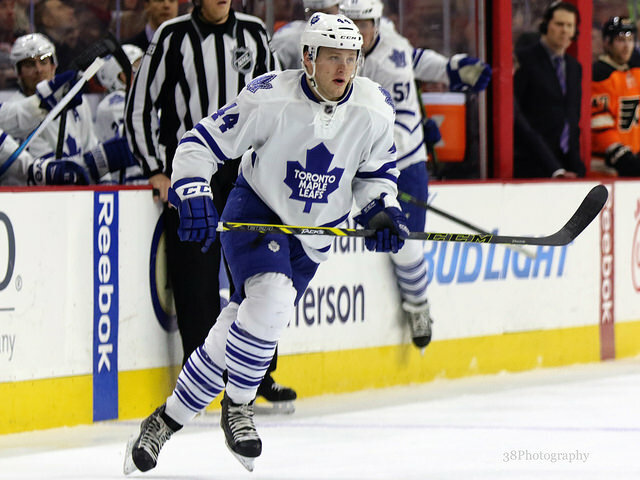 Phaneuf is thirty and has been beaten down repeatedly for five years now, neither Polak or Robidas are any good, and their best non-NHL hope for the future – Travis Dermott – is at least a year away from anyone even being able to ballpark his NHL potential. The Leafs have Marincin, Percy, Finn and Harrington as players who may have reasonably solid shots at NHL careers, but better prospects/players are definitely needed before the Leafs can be good again. Still though, there are some obvious spots where the Leafs can improve their defense without even acquiring anymore players due to some weird coaching choices last year. They are as follows. It may or may not surprise you to know (depending on what you think of Randy Carlyle) that the Leafs most used defenseman last season, in 5v5 situations, was Roman Polak at an average of 17.43 minutes per game. Polak played 56 games, and despite being a fan favorite because of his toughness, was woefully inadequate in his role. He scored 8 points and posted a Corsi-For of 45% which is very, very bad for a #1 defensemen. Worse though, is that the Leafs were already a terrible possession team and Polak had a poor rating relative to his teammates, most of whom performed better when not on the ice with Polak. This season the Leafs will hopefully move Polak to make room for younger players, but even if that doesn’t happen until the trade deadline, the Leafs will improve by using him lower in the lineup than they did last season. The problem here isn’t so much the amount of players used as the quality. Robidas is a warrior but his time as an effective NHL player is over. He played 52 games last year and the Leafs will be exponentially better this year for every game that number is reduced by. Brewer, Erixon, Granberg and Holzer were even worse than Robidas and the Leafs will improve because the 74 games they combined to play will be filled by far more competent players like Hunwick and Marincin. Of the 13 players deployed last season, only Erixon, Brewer, Holzer and Franson have moved on to other teams. That leaves nine players left over, though I doubt MacWilliam or Granberg will get minutes with the big club this year because new additions (Marincin, Hunwick, Harrington) and young players (Percy, Finn) who will be given shots instead. 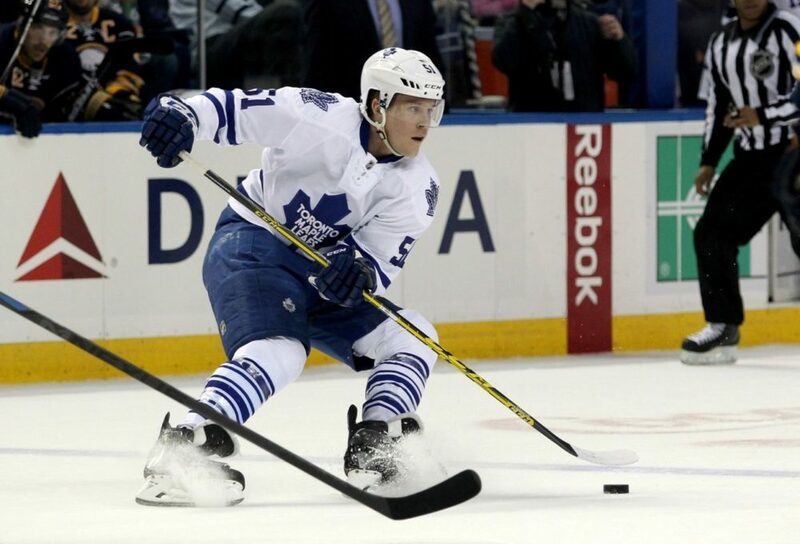 The only sure-bets to play all season for the Leafs in 2015-16 are Rielly and Gardiner. Players such as Percy, Harrington, Marincin (probably the third best NHL defensemen on the roster) are sure to get some games, and with veterans Phaneuf, Robidas, Polak and Hunwick with the team until they are traded, the only sure thing we can really say about the defense this year is that the Leafs are likely to meet or exceed the 13 players deployed last year. Though we can still expect to see a high number of players deployed, it’s reasonable to assume that, overall, they will be much better players, which should evoke at least some improvement, even if no obvious “game changers” have been added to the roster. I believe it would surprise most followers of the Leafs that Dion Phaneuf was actually the fourth most utilized player at even-strength last season, skating just under 16 minutes per game. Had they not overused Phaneuf on special-teams, where a) on the PP there are two better options and b) on the PK it doesn’t actually matter all that much who you play because you’re a man short, the team could have gotten much better play out of their captain. 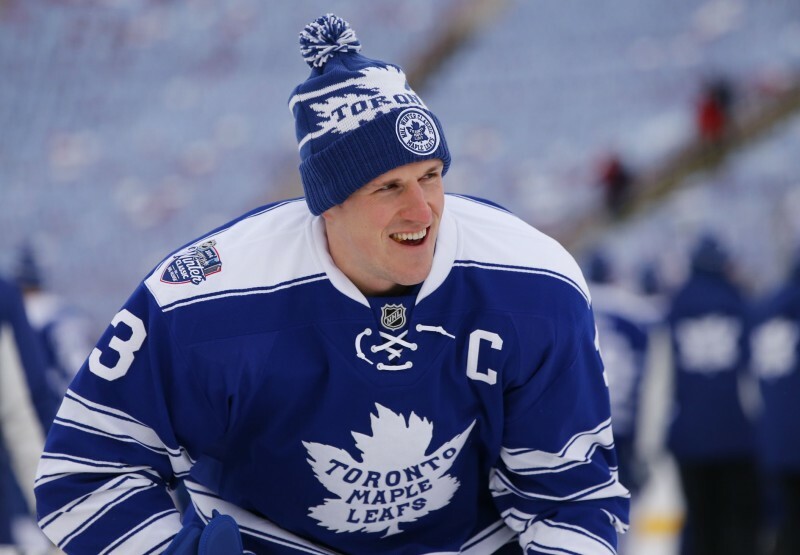 Phaneuf, however, was the most used defensemen overall, playing almost 24 minutes per game. That is eight minutes of special-teams hockey and shows perhaps why the Leafs were such a terrible team. One automatic improvement the Leafs can make this season is moving Phaneuf to the second PP unit, behind Gardiner and Rielly, both of whom skated a full minute less than Phaneuf with the man-advantage last season. 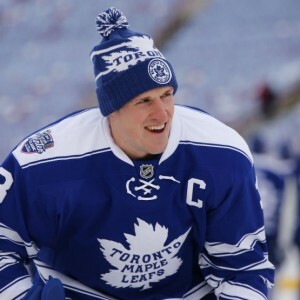 By having Gardiner and Rielly play more than Phaneuf, the Leafs will automatically improve and by giving him easier minutes and less minutes, Phaneuf himself will improve. The Leafs are a team in transition and while they’ve added some really nice young pieces over the last six months or so, the defense is still a work in progress. Really, after Rielly and Gardiner, things get very sketchy. Perhaps one or more of Percy, Harrington and Marincin can be long-term answers for spots on the team once it’s competitive again, but realistically, the Leafs really need to add more potential to the blue-line of the future. This year’s team won’t have Cody Franson, so there is definitely a drop off from last year, but that should be made up for by improvements to Rielly and Gardiner as they gain more NHL experience. The good thing is the Leafs probably won’t dress anything as bad as they did last year at times when Brewer, MacWilliam and Erixon occasionally appeared in the same game. In my opinion, the Leafs should be looking to acquire a blue-chip defensive prospect in exchange for James Van Riemsdyk, and then hopefully get another blue-chipper at the top of next year’s draft. When and if they can do that – which is probably way harder than it sounds – then the defense will be ready to compete and the Leafs’ rebuild will be over.